The Jammu and Kashmir Governor, Satya Pal Malik on 10 February 2019, granted the Divisional Status to Ladakh Region while exercising its powers under Section 5 of Land Revenue Act, 1996. The State Government also approved the creation of the posts of Divisional Commissioner (Ladakh), Leh and Inspector General of Police (Ladakh), Leh. With this, Ladakh became the third Division in the J&K state with the other two being Jammu and Kashmir. The Ladakh division is now the biggest division in the state with 86,909 sq. 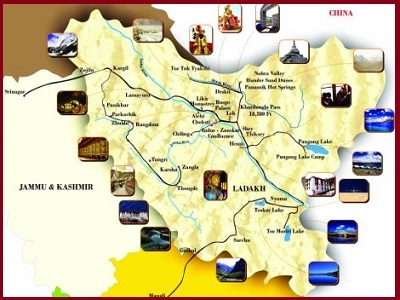 km of area, followed by Jammu division of 26,293 sq km at second and Kashmir Division of 15,948 sq km at third.